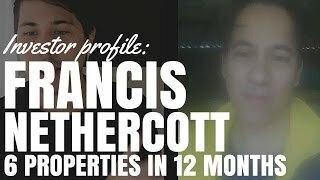 Today I have the privilege of sharing my interview with a customer of mine Francis Nethercott who has purchased 6 properties in the last 12 months. If there’s one thing that I know you guys, my audience, the onpropertiers love is you love hearing stories from other onpropertiers who have gone out and invested themselves achieving some sort of success or maybe they’ve made mistakes and they’re not doing so well. You love hearing from real people in the trenches on this journey to create cash flow, to create financial freedom for themselves. And I have a massive treat for you today with this interview with Francis who is an onpropertier who’s been a customer of mine for about a year and you’ll find out that up until one year ago, Francis and his wife and his family, they just owned their own home and in the last 12 months, they’ve purchased 6 properties and they’re looking to purchase their seventh. This was such an inspiring story for me because this is someone that was impacted by the work that I do at On Property. It was just so great to see, for me, have a positive impact on someone’s life; that my free content, that my paid content was able to impact someone’s life. Here we have the interview with Francis. I’ll head over to it now and I’ll come back at the end to summarize and to give my thoughts. 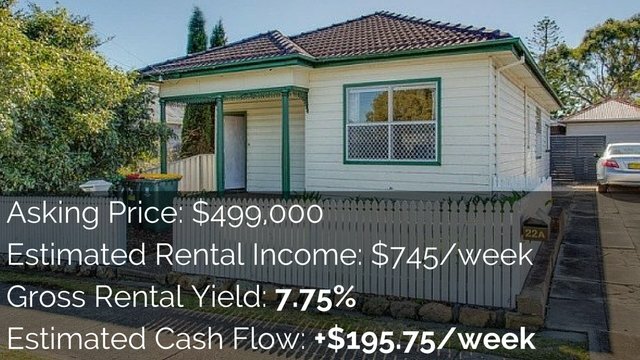 Ryan: Hey guys, Ryan here from onproperty.com.au, helping you find positive cash flow property. Today, we have a very exciting episode. An investor profile with Francis Nethercott, who is an investor himself and listener and audience member of On Property and a customer of mine. Francis, thank you so much for taking the time out today. Francis: Sure. That’s a pleasure. I’m a bit camera shy just to let you know. It’s an honor for me to be invited by you, Ryan. Again, thank you very much. Ryan: It’s an honor for me to interview you. You’ve been a part of my community for some time. So it’s great to sit down and chat to you. Why don’t you tell the people out there a little bit about yourself and then give them an idea of what your portfolio is. Francis: Sure. Well, I’m Francis. I work as a registered nurse. I’m still working. I’m still on the rat race, unfortunately. I started the journey last year, if I recall, around May because my situation, I’m actually turning 46 this year. I have a lovely wife, she’s a registered nurse, too and we have 4 kids. Ryan: 4 kids. Wow, that’s insane. I’ve got 3 and we’re like, “I cannot have any more. That’s it. We’re done.” I don’t know how you do 4, man. Ryan: …and you’re both working. That’s insane! Francis: Yeah, we’re both working right now. It’s just the situation, it’s getting tough. The expense, I couldn’t save at all. We have twins and then they started school this year. It’s getting rough so I have to do a plan and I read a certain book and it just motivates me to – if these people can do it, maybe I can do it. You know? I mean I got nothing to lose. 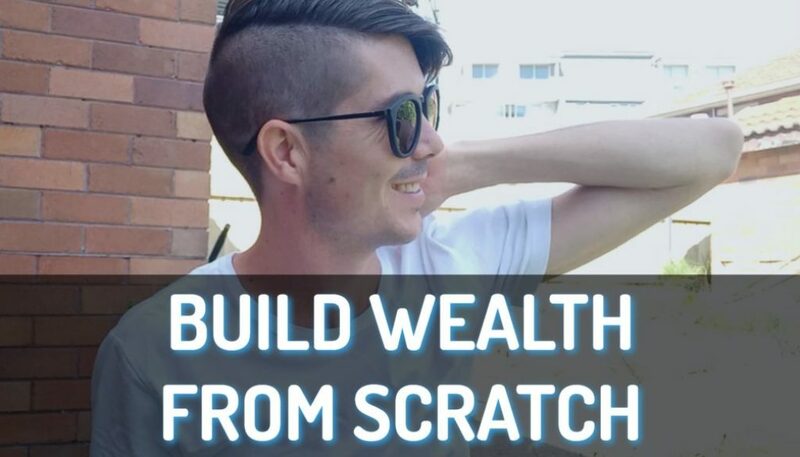 I started to start a journey to look for ways and I found property investing. 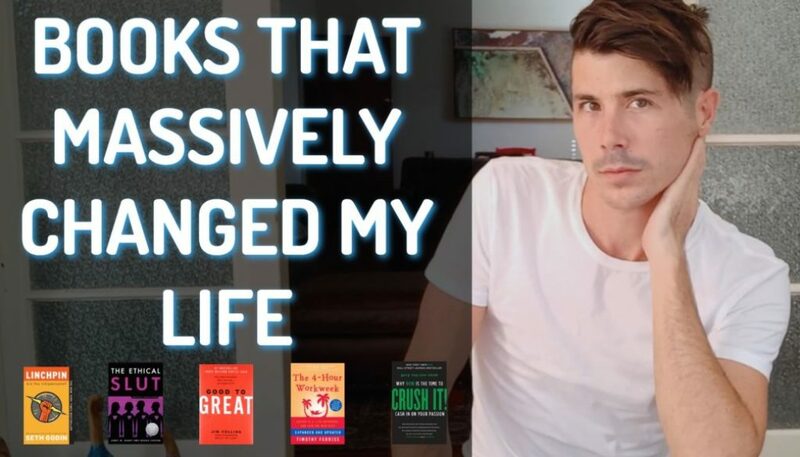 Ryan: What book did you read that motivated you? Ryan: Was it Rich Dad, Poor Dad? Francis: Yes, that’s right. It motivates me and it has to be a way to help me financially. So what I did, I looked at the webpage and thank God I found your webpage and it helped me. To tell you honestly, 3 of the properties that I purchased is from your webpage, actually. Francis: Yeah, that’s right. How I did it, I have a team with me. What I meant is I had advice. I mean I can’t do it alone. I mean I had to meet up with people who have done before. Actually, Ryan, you’re one of the people that helped me through your webpage and getting all the positive cash flow. So it helped me in a way. I made a strategic plan, how to do it. Like in my situation, I’m negative. First thing I did was to budget all my expenses. Me and my wife has to write down how much we earn and how much money goes out from our pay. And then, your webpage helped me in a way because it’s a positive cash flow. So it’s giving us extra money coming back into our pocket. So we purchased 2 positive cash flow to buy 2 capital properties. So that’s how we ended up building our portfolio. Ryan: Okay. So do you own 4 properties at the moment? Francis: It’s crazy. I have 6 now. Ryan: You’ve got 6. Okay. Wow! Are you telling me that a year ago, you were basically had very little savings and no properties and now you’ve got 6 properties? Francis: Actually, correction. We bought our first property in Pendle Hill was 2005. Ryan: Okay. Is that your house? So I went back and they declined us, “Come back in 5 years.” So I came back on the same bank and then I got declined. After 10 years, I went back, I still got declined. It has to be some way. So I did my research and then I found out because I have a lot of credit card debt. So now I understand why the bank is not lending me money to buy property because of that credit card. So what I did, I had to find a way to get rid of that credit card. I still do credit card, but I’m not a fan of credit card. I mean we have our own different opinions about credit card. So what I did, I became full-on budgeting. So once I fixed up my credit rating, then the bank are starting offering me, “Would you like to have this money for loan?” and etc., etc. And then, that’s how I devised a plan how to build up my portfolio. Actually, right now, I’m looking for number 7. Francis: Yeah. I know. It’s crazy. Actually, my first investment, I went to Gold Coast, but it didn’t turn out well. I was planning to quit. I was telling myself I shouldn’t have done this at all, blah, blah, blah… But as I go on, somebody told me, “You’ll learn from mistakes.” I did a lot of mistakes from my journey at the moment, but I learned from it. It’s not like, I did a mistake, I’ll do it again. You learn from it. So it kind of motivates me in a way. Right now, I still live in the same house 11 years ago. I don’t have a mansion and all that stuff, but in paper it says I have this X amount of money. I’m still focused. I’m planning to get, hopefully, like 10 or 12 properties. I’m not saying I want to be greedy and all that jazz. My goal is to have financial freedom. Francis: What I do, I write down the goal. Like in 3 months, 6 months, 12 months, 5 years – that kind of stuff. I know it’s hard, but I have to stick in the plan. It’s a slow process, I know. Even I’m thinking, last May we started the investment property. We bought 5 properties in less than 7 months. I don’t know how we do it. Was May when you purchased that Gold Coast property that didn’t work out for you? Ryan: What was it like to go through that first property? Okay, you decide, “I am going to invest in property now.” What sort of steps did you take towards getting towards buying that first property on the Gold Coast? Francis: Okay. What I did, I was doing the maths. I was doing the numbers. 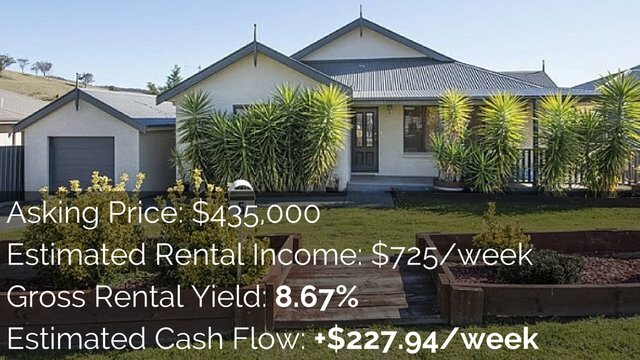 What I noticed with property investing is all about numbers. It has to stick with a budget. I mean, look, that time, I remember the bank was offering us $700,000, but it doesn’t mean I’m going to use that all. It has to stick on a certain plan. There’s a saying, “Bite what you can swallow”, you know. You know what I mean? You heard about that kind of stuff? We were about to purchase that property. Of course, we did some building and pest inspection, but the building and pest is very poor. So if we go ahead, we’re going to spend X amount of money so we decided to pull out because the real estate is not being honest with us. It’s a bit sad, so at that time, I pulled out and I was telling myself, I shouldn’t have done this. I shouldn’t have get into property and all that. Ryan: Okay. So you didn’t actually purchase the property on the Gold Coast. Ryan: Did you lose a lot of money on that deal? Francis: Actually, I lost the building inspection and the pest inspection. Ryan: Yeah, so like $1,000 or something? Francis: Yeah. I got my deposit back, thankfully, because luckily, I put a clause on it on the email. Like, depending on the report or depending on the pest inspection. If I didn’t do that, there’s a chance I’m going to lose my deposit. But I went to depression for probably 3 weeks. I was upset, you know. But somebody told me, “Look, it’s not the end of the world. Probably, that property is not for you. You have to move on.” That’s a learning curve for me and it motivates me. Because before I started this journey, I wrote down what is my goal. It’s not because I want to be rich or I want to have this property portfolio. It’s the goal that to be financially free. Especially, I’m thinking about my kids. Last year, I was actually negative $30,000 because of the credit cards and the expenses and I have to find a way to make money. Ryan: Yeah. Kids are expensive, man. My daughter’s like gluten and dairy free. $9 for a loaf of bread for her if we want to get it. Kids cost money. They’re not cheap. Francis: They are, they are. So what I did, I remember last year, I had 3 jobs just to sustain. Now, I only have 1 job now. So that’s cool. This has helped me. Ryan: Okay. Wow. You’re definitely a hard worker. So you go from the Gold Coast property, which falls through. You get your deposit back, luckily. You’re out a bit of money for your building and pest inspection, but you haven’t lost tens of thousands of dollars, which is good. Ryan: So then, what was the next property and did you end up purchasing that one? Francis: Okay. The next property, I went to Brisbane. Do I need to tell which suburb? Ryan: You don’t have to if you don’t want to. It’s fine. Francis: Oh, okay. I went to a place in Brisbane called Loganlea. I’m not telling everyone to go there and purchase it straightaway. As I said before, it depends on your strategy. It depends on what budget that you can afford. I listened to some people, “Oh, buy here, buy there.” and all that. One of my tools that I use is I use RP Data or I do research, due diligence. I used the Australian statistics. I ring up council, you know? What is it like there? Is the place flood prone or the crime and all that jazz. What’s the growth in a year or two or three times? And then, I devised if it’s a positive cash flow or is it growth or both? Probably both, that will be great. I bought a property in Loganlea. It’s actually 2-in-1. For me, it’s a positive and a growth as well. When I did my calculation, it’s actually negative, but it depends on the deposit as well. I put 40% deposit. I know it’s a big chunk of money, but at the moment, I’m getting positive cash flow from it as well. So it helps me with my financial and also helps me for the next purchase as well. Ryan: Yup. Awesome. That positive cash flow helps to, I guess, fund you so you don’t have to work 3 jobs. You can just work one. And so you can move on to the next one as well. I think that’s something a lot of people do get trapped in is that negative gearing cycle where they want the growth but they invest in negative gearing and it’s costing them money and they run out of money. And then, either for you or me or something like that where we’ve got kids, if for some reason you lost your job or lost your source of income and you have negative geared properties, it could be really bad. If everything goes perfectly, that can be a great strategy, but I think, especially when we have children, we kind of need to prepare for the worst, don’t we? Ryan: Can I just ask? The 40%, was that savings or did you draw equity from your home? Francis: Both. I did something silly. I’m not saying to everyone to follow what I did, but I haven’t been to vacation for the last 8 years. So I have a bit of savings, plus I add up some of the equity so that becomes the 40%. I know it’s a big chunk of money, but as I said before, it’s a strategic plan for me and my family. So we think about, “Look, it’s big money, we do it, but we get this X amount of money coming back to our pocket and it will help us for our whatever expenses or for the next project.” Actually, we draw up some equity from that property and we bought another. Ryan: And then you went again. You purchased your first investment property. You said you got 5 in 7 months. How far was it between that first one in Loganlea and the second one? Francis: Okay. After the Loganlea, thanks to your website, I saw a property in Mildura. Because your website, it’s positive cash flow properties and cash flow properties are king. So with the one in Mildura, it helps me. Again, the growth is not that great at the moment, but it’s giving me X amount of money, good money. So, with that positive cash flow, if I decided to go for the next purchase, the bank sees it as, “Wow, this is good because you’re getting extra income back.” What I learned, let’s say if I have 2, 3 negative properties, it’s hard for me to move forward. It’s hard for me to get my bank approval for loan. You know what I’m saying? So if the bank sees it as you’re having another some sort of income somewhere, I don’t become a risk to them. So the borrowing power increases and the borrowing potential become easier. Ryan: How did you go with purchasing? So you live in Sydney and your first 2 properties you’ve actually purchased interstate. So you purchased one up in Brisbane and you’ve now purchased one down in Victoria. Did you fly out and view these properties? Did you purchase them site unseen? Francis: Yeah. Well, that’s one of the plan. Because I noticed from the first property that I’m supposed to buy, I didn’t look at it. I just look at the Internet, all that jazz. So when everything is cool, yeah, you know. We’re going to buy it. No, it’s okay, Internet is alright. But it’s better that you look it first hand. It’s better that you can go in and feel what is it like being in that property. My mindset now, if I purchase a property, I have to think about me as a tenant and how would I live in that property. I have to think about the mind of a tenant before purchasing the property. If all the boxes are ticked then I’ll go for the purchase. Ryan: So with your trips to Brisbane and down to Victoria to Mildura, did you go with one property in mind and you’re like, “I’m interested in this property. I’m going to view this property.” or did you go down and say, “I’m interested investing in this area.” and then, call all the real estate agents in town and spend a day or two just seeing everything in the area? What was your approach? Francis: Yeah, that’s what I did. I’m already down there, might as well have a look at what’s in the market. I go to different real estate agents. I ring them up, “Look, I just want to have a look if you can show me around, blah, blah, blah…” they’re very accommodating. So, yeah, I don’t know. Some people, they can look at online, but probably I’m a bit traditional – better to look at the place. I’m already there; I end up probably looking at about 8 to 10 properties. Of course, with those properties, before I go there, I should have that in mind, what sort of properties I’m about to visit. Francis: Subdivide it, thank you. So, yeah, that kind of stuff. I have to think ahead before flying to Mildura as well. Ryan: I think a question people probably would be asking at this point. A guy who has 4 children, 3 jobs, how do you find the time to do all this research, to go out to these areas and to look at them? Francis: How did I do it? I remember reading the book of Rich Dad, Poor Dad. One of the advise that he wrote in the book is you have to work for free. So to do it, during my days off or before I go to work or after work, I do research. Now, we live in the information age. You just look at the Internet, Google and then it says it all. But still. I don’t really trust it 100%. I still have to get some second opinion or third opinion, whatever that may be to do thorough search. Like the due diligence, what the investors call it. That’s how I do it and having a mindset of I need to do it in a specific time. As I said before, let’s say, like now, I’m giving my self 2-3 months to purchase another property. If I don’t get it, then probably I need a kick in the backside. Having a plan and strategy. You have to be focused. I don’t know how I did it. Sometimes me and my wife will think about it. Francis, how did you do it? I said, “I don’t know.” I think it’s just that motivation. Ryan: You just have the determination and you just made it happen. Francis: Yeah. It’s just like self-discipline. How do I say it? Before I get into this journey, I’m a part-time musician and every time, on my days off, I buy stuff – a new guitar or a new keyboard and all that stuff. And now, that’s completely different. It’s just the goal that I have to focus on. How do I explain it? Like if I drive from Sydney to Brisbane, I have to focus the highway, the Pacific highway to get up there. Probably I can go to New England highway, but that’s another way, the focus is a bit, you know? You know what I’m trying to say. Ryan: Yeah. You need to be focused on where you’re going and to stay focused on that and use your time to stay focused on that. Because if you get distracted or if you just decide to go in a different direction, you’re not going to end up where you want. So, I think you’re one of those people who; you set the plan, you set your goal. You say, “Here’s where I want to achieve, here’s what I want to get to. Here’s how I’m planning on getting there.” and you stayed focused on that journey and made the time for it. Francis: That’s right, that’s right. How I did it? I remember, maybe I was crying for probably 3, 4 full days. I have to do some sacrifice. As I said before, I was a part-time musician. I started playing music when I was 5, 6 years old and if I play music in [inaudible 24:32], I make about $200, $250 a night, but I sacrificed that in a way. I don’t play music anymore. Probably, I still can. But because I’m getting that same income from the passive income. So I can spend more time with my kids and I can do something else that I really want. I’m not saying that I’m just staying at home and doing nothing. I’m still working. I’m still in that goal. My goal is hopefully to retire in minimum 5 years, maximum 10 years, but I have to stick on that. Actually, my wife has a different mindset before this. She’s has a different kind of mindset that if I got paid for more, I should have spent it. I should have reward myself. And I explained it to her, “Look, we can do all of that. We can have the enjoyment as those rich people does, but we have to be focused of the goal. 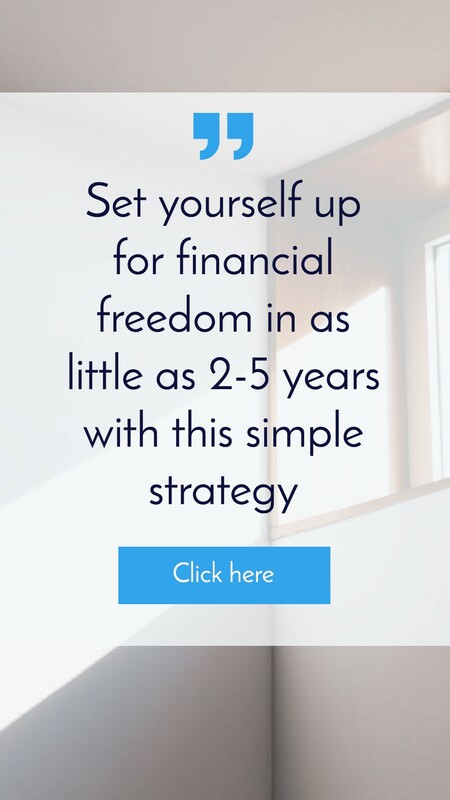 But if we don’t, we’re going to probably instead of 5, 10 years, we’re going to end up probably doing it in 15, 20 years.” If we can focus on the now, the faster we can get it to that goal, the more we become financially free. Ryan: Yup. Awesome. So the first 2 properties you said you purchased were positive cash flow properties. But then, you said you purchased 2 growth properties after that. Were they negatively geared and how did you go about searching for growth properties as opposed to positive cash flow properties? What’s different? Francis: Good question. My strategy was; I go positive and then another positive and then, I’ll go growth. And then positive, then growth. Ryan: Yeah. It’s alternate. A lot of people do do this because they get the positive cash flow and then they buy a growth property, which may be negatively geared, but they kind of counteract each other so you’re not in a negative position. You’re kind of neutral in terms of cash flow. Francis: Yeah. That’s right. That’s right. At the moment, I’m a little bit positive. So altogether, with that property that I have is actually paying itself. I give example for your viewers. Let’s say, I have this property at Morayfield in Queensland. At the moment, it’s negative gear. So the property that I got from Mildura, the excess money is paying, it’s adding for that mortgage because the tenant in Morayfield is paying the rent, but the mortgage is not enough, it’s short. So instead of pulling from my pocket, this other property is paying for it. So only thing I’m focused in the money I make from work, I’m paying that for my mortgage here in Pendle Hill in Sydney. So, basically, the 5 investment properties are paying by itself. Ryan: Yeah. So now, you’re kind of in a situation where you’ve got your own livelihood, you and your wife work. You pay for your own house. You pay for your 4 children and all of your life and stuff like that. And then, your properties are kind of like their own separate business or entity and they kind of – the ones that are positive cash flow are paying for the negatively geared ones and they’re kind of growing themselves and I’m guessing you’re drawing equity out of them as well to re-invest. And so you’re living your life, you’re working to pay for yourself and then you’re building up this property portfolio. It sounds like you’re treating it a lot like a business and building up that business. Francis: True. Actually, you’re absolutely correct, Ryan. The property that the portfolio we’re building is actually a business. So there’s a pros and cons. At the moment, we’re May now, right? Oh no, April. Sorry. Ryan: April, so it’s been less than a year. You’ve already got 6 properties. Francis: I know. I’m hoping I’m going to get a big tax return coming back. That’s the advantage of the negative gear, but the positive cash flow is king. It’s balancing. It’s like a balancing act. In a way it’s good. All I have to do is focus on that main property. It’s hard in a way because I got calls from agents that a bit this repair and all that. Getting into where my situation is, I need to have a certain point of buffer. Let’s say for one property, I give myself at least $10,000 buffer, you know. Let’s say if the tenant walk away or something happen, you know, I still have that extra money to cover that mortgage in X amount of time, X amount of days. If something happens, some repairs and all that. So I have some money to pull out and pay for that bill. So, what I’m saying is, before I bought a property, I know probably some friends out there thinking – let’s say the price is $200,000. You don’t have to think it’s $200,000. You have to think more than that because you have to pay for the building, the pest inspection. People forget about that is the settlement. After the settlement, you pay another X amount of money. People might say, “Oh, I don’t want to hire a property manager and all that.” Well, there’s a pros and cons to that, in my opinion. But in my case, I hire a property manager because – with all due respect with property managers, I love them all – they’re the ones getting the headache. Calls from the tenants and all that. They’re like the people in between. I mean, I know I have to pay X amount of money to them, but it’s just the freedom – free from headache. They’re the ones dealing with the tenants. Ryan: The same as you were saying. I could spend my time being a musician at night to the [inaudible 31:12] and earn $250 or I could spend that time growing my property portfolio. In the same way, you could spend your time and maybe save a couple of hundred dollars by not hiring an agent, but you could spend that time to buy another property, which is going to generate positive cash flow, which is going to pay for the agent, right? Francis: Excellent. That’s right. 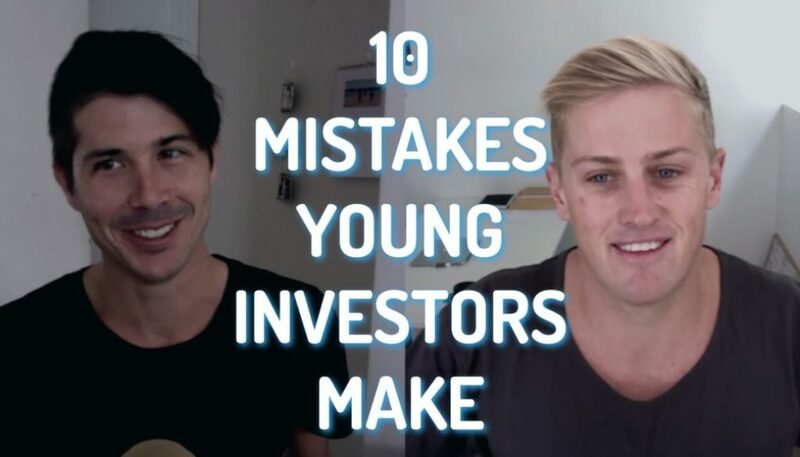 Well, my personal advise to your viewers is, if they’re going to go into that journey, property investment, I believe it’s hard at first, but as you build up your portfolio, it becomes easier and easier. Look, I still make mistakes. I’m still growing. I’m still learning. But it’s just having that mindset. You have to really concentrate on the goal. Going back again, with that settlement, let’s say property is $200,000. You have to think that you’d probably spend another – you have to have at least $20,000, $30,000 extra. Because just in case something happens. Let’s say the property is transferred to your name. I’m talking about my personal experience. Because the agent was saying, “Francis, we have to spend $10,000. We have to change the carpet, this, this and that.” If I don’t have that money, it’s going to be hard to put the property on the market for rent. It’s really competitive out there so you have to be – if the property says, “Look, we need to re-paint, change carpet” and all that, I have to comply. Because they are the expert. They know the area more than I am. For example, like in Mildura for instance, I’m not from Mildura. When I flew out there, that was the first time that I’ve been there. I don’t know anything about that area, but the real estate – I mean, we have our own opinion about real estate agents, but you know the property manager and all that, they know the people. They have connections with the builders, with the repair people, the plumbing, etc. so that’s what I do. Ryan: A lot of people contact me and they get stuck. So they buy 2 or 3 properties or something like that and they hit their lending limit. Especially with the new rules that came in from APRA to try and restrict investor lending and stuff like that. Have you found yourself getting stuck and not being able to borrow more money to go again? How have you gotten around that so you can continue to grow and you’re now going on to property number 7? Francis: That’s a very good question. Well, at the moment, I haven’t get stuck yet. Because at the moment, I haven’t bought more than $400,000 property. I think it depends. What I know is if you can prove to the bank that you’re able to pay this and they don’t see any risk at all from your financial point of view, then I think it should be okay. Ryan: Do you just use the one bank or do you have a mortgage broker that you work with? Francis: Good question. Very good question. Actually, I have brokers. Not one. I have 3 brokers. If this broker tells me this, I have to get a second opinion. With all due respect, I love my brokers. Some of them, they get upset because they found out I go to another broker, but it’s all about business. Ryan: So what was your reasoning behind choosing 3 or going with 3 brokers over the usual? Usually people just have one broker. They go to that broker, they trust that broker. What made you say, “Okay, well, I’m actually going to get 3 people that I work with.”? Francis: Okay. The reason I do that – my background is a nurse. I have some patients, they get upset because their doctor says this, this and that for their health. I tell them, “Look, why don’t you get a second opinion?” I’m not saying the doctor is wrong, but try to get another advise. My mindset is like that. So if I go to a broker, broker said this and that. I’m not saying I don’t believe him, but I’ll try for another second advise and I’ll see on my budget. Some brokers or some lenders will say, “We’ll lend you this money.” Let’s say half a million dollars. And then, let’s say interest rate of 4.7%. Me, I have to stick with the budget. If my numbers doesn’t stick to that, I can’t. Because if I go to it, by the end of the day, as months or probably years, I’m going to be in trouble. I will be financially – you know what I mean. So that’s how I do it. So I ask for certain advise, “What do you think is this interest rate good for me and all that?” you know what I mean. So that’s why I do it. With the bank as well. Ryan: A lot of people invest using different banks so that their properties aren’t cross-collaterailzed and mixed together. Francis: That’s correct. For instance, I just want to add one more thing, let’s say something happens to me, I become sick or I had an accident of some sort. If I have all properties in one bank, they will see it as a risk. They might ask me, as you said, “Francis, with all this properties you have, we’re giving you 3, 4 months to pay it all off.” Then I’ll be stuck. So what I did, I just spread the risk. So something happened to me, let’s say a property in Loganlea said, “Look, Francis, we have to sell this property, blah, blah, blah…” So, at least, I lose one instead of losing it all. Ryan: Yup, totally. It gives you more control as well. They’re not forcing you to sell particular ones or your house, or something like that. A lot of investors do that. And so, people should obviously talk to their mortgage brokers about what’s best for them. Don’t take our advise. Just put that disclaimer out there. Last question then I’ll let you go. Thanks so much for your time. With 6 properties, soon to be 7, 5 different banks, how do you go about managing all of these cash flow in, expenses out across all of these different loans and bank accounts and things like that? How can you keep on top of that and manage that? Francis: All right. Actually, to tell you the truth, it’s getting hard. I have a friend who is actually an accountant. As I said before, I do a budgeting. Budget of all the expense, all the income. And I send her all my expense. Because if my wife says, “Francis, we’re spending this and that.” I can try to calm her down compared to my friend. She can just kick me on the backside, “Francis, you know, you’re not doing well.” and all that. It’s just one of my strategy. It’s just someone has to nag me behind that I can’t answer back, you know? Just like being from the outside, this is what you do, you have expense here, put it down. You know, this and that. Oh, you have surplus, what do you want to do with it? Do you want to put it aside? Ryan: So you have an accountant that you hire that helps you to keep track of it. Do they manage your bank accounts or do they just look at the expenses and then tell you you need to pay this expense now? Francis: Well, yes, that’s right. Yeah. But I still also look at it as well as my expense. What I do, I have a big calendar in our office. Well, we have a spare room I convert into an office. When the bills comes in, I write it down. Bill’s due at a certain date and all that and I budget again. Everyday I do this. It’s like a normal lifestyle for me that it’s a must that I have to do because I have to keep an eye on my expense and budgeting. I remember last year, if I have a bank statement, I just put it on the side. Now, I know the numbers be heart. But I can see when you’re dealing with a lot of different properties, a lot of different banks, you’ve got to be on top of it. And then, to have someone on your team who can nag you as a backup is definitely. Like, I do that in my business. I have a personal assistant and I do a lot of things myself, but when I forget, she’s there to say, “Hey, Ryan, you need to do this.” be like, “Go ahead and do this.” It sounds like the same sort of thing with your accountant. Francis: That’s right. That’s it. That’s how I do it, too. Ryan: Well, thanks so much for your time today and for sharing your story and your knowledge. It’s so inspiring. And I think people are going to be so inspired to hear that. Ryan: Here’s someone that – yes, they owned their own house, they bought that 10 years ago. But 12 months ago, you owned one property – you owned your house. And now, 12 months later, you own an extra 5 or 6 properties. You’re in a positive cash flow position. You’ve got some growth properties in there and you’re setup to hopefully retire within the next 5 to 10 years. I think people are going to be very inspired. What advise or what words of wisdom would you want to leave people with today as they go out? Maybe they’re off to work. Maybe they’re doing a night shift at nursing. Maybe they’re on the train. What words of wisdom should we leave with them? Francis: I don’t know how to say, but as I said before, you write down what do you want to do in life. Like, financial freedom. You have to be able to know what is the asset and liability. If you’re single planning to have a family, think about the future for your future kids. If you have kids like me and Ryan, think about what you can pass it on to your kids. Nowadays, we live in information world. Nowadays, if you can see the expense going out, the value of dollars is going down. We have to think of a way how to be financially free. Because I seen some people, sadly including my mom, I love her dearly, but she’s just living in $350 a week. I mean, that’s like $15,000, $18,000 a year. I mean, I don’t want to be like her. I love her dearly. Sadly, she doesn’t want to accept financial help from me. I respect her opinion. All she needs to do is just give me the word and I will happily help her financially, but I don’t want to be in that kind of situation. A lot of people that I know is getting into that situation. All of you out there, you don’t want to work until you’re 70, 72, 75 years old. If some people can retire 50, 60 or whatever that may be. How can you enjoy life if you going to retire on 70, you know? You know what I mean, Ryan? If we can retire in 5, 10 years, in 5 years, I’ll be 50 or another 10 years, I’ll be 55. But I would rather retire 55 rather than 70. Ryan: That’s the thing. 55 compared to 70, that’s 15 years. That’s a lot of years. And a lot of people get in the situation, they’re like, “Okay, well, I’m already X years old. I’ve only got this amount of years left.” but 15 years is a lot years. That’s a long time to live. Even though, you’re not 20 or 18 and starting to invest. Even though you’re not going to be retire before you’re 30 or something like that, any years that you save is going to be worth it. I think people can learn a lot from your example. People can get inspired by this story and I thank you so much for your time. Ryan: That’s it from us today, guys. Until next time, stay positive. Okay. Wow, what a great interview. Don’t go away because there were some stuff after we recorded that Francis wanted to have added in that he forgot to say during the interview. So I’ll play them just after this little recap I have. I am so grateful for Francis. I’m so grateful that I was able to have a positive impact on his life, on his family’s life. He’s now got 6 properties plus his own home. He’s in a positive cash flow situation. And he was saying that, “I’m really grateful that I found you and the first couple of properties I purchased were positive cash flow, which allowed me to grow my portfolio.” Francis, thank you so much. You absolutely made my day. Hearing your story. Hearing about your hard work, your dedication and how it just took a little bit of an inspiration for you. And now, you’re off and running with it and achieving great success. I, as well as I’m sure every onpropertier listening to this, wish you the absolute best in your property journey and we would love to have you back on in a year or 2 years and see where you’re at in terms of property investment. If you guys want to know more about the course or the membership site that Francis signed up for, that’s called “On Property Plus”. It’s now just over at On Property. Just go to onproperty.com.au/membership and you can see there. I list new properties every single day. So I’ll go out and I’ll find properties with high rental yields that look like they’re going to be positive cash flow. I’ll share them with my members. I’ve also got courses in there on how to find positive cash flow property, how to do area research, whole bunch of stuff. Francis talked about in the back of the magazine, the stats, you know, we go through that and how to use all that sort of stuff so you can research an area. There’s also some tools in there to help you analyse cash flow. So, really valuable stuff in there. You’ve got properties, you got tools, you got courses. It’s awesome stuff. Go to onproperty.com.au/membership and I would absolutely love to have you as a part of the community. Francis: I should have say in the video as well, I just forget. What really inspired me is when I drive to work or anywhere, I see some construction. You know, buildings or units. Sometimes I think, “How do they do it?” you know? It has to be some way. For me, that’s my other motivation right now. If these people can do it, probably we can. I mean, they’re human beings as well, like us. Actually, Ryan, to tell you, I should have mentioned, I just remember now because a lot of things coming into my head. Actually, you inspired me as well, Ryan. Last year, exactly last year, I was looking at your webpage. I was listening to you talk. You did some video and it really inspired me. Because those 2 properties, the positive cash flow that I bought when you advertised these properties and then looking around, it helped me put money in the pocket. So when I went for the loan to get some capital, I was expecting I’m going to be rejected, but it didn’t, so it worked. So cash flow is king, actually. Ryan: Awesome! I’m so glad that I could help you. Francis: You did. Seriously. This is the first time I talked to you through online. But you did, you did help me and you did inspire me. I remember you were showing a magazine with that data. I forgot which magazine you were showing. Ryan: Australian Property Investor. I remember that video, yup. Francis: Thank you. And that helped me. That’s one of my tools, actually. Looking at the data, looking at the growth of that area. I actually fly to that place and look around that area. I look at the shops, the schools, the hospital. That’s all growth, you know. I should have mentioned that earlier. Sorry, I just remember now. Ryan: No, no. It’s fine. It’s awesome. It’s so good for me to see someone doing so well and that I’ve helped to inspire you along your journey. You’ve run with it and you’re achieving success. And your motivation is the same as mine. I want to be around there more for my kids. I quite a 6-figure income job to start my own business and work for myself so I could be with my kids more. So we have the same motivation. It’s great to see a dad, someone who’s keen to spend time with their kids and stuff like that. Francis: If anything I can help for you, I would love to. Look, I’m still learning. I’m trying to build a portfolio. I’m not financially free yet, but it’s something. I’m seeing results. Ryan: That’s the thing. I think people like seeing that more than someone who’s already achieved it. You know, the high-flying guys who own 300 properties or something like that. That’s so unachievable for everyone. Whereas someone like yourself who’s bought their own house and now they’re building their portfolio. I get more inspired by that and I think other people will as well. Francis: Oh, really? Cool. Oh, thank you.Thank you. It’s hard, you know. It’s not easy. But its just like I have to stick to the plan because I believe people fail because they try to do shortcuts. Again, I couldn’t do it myself. Research, you helped me through your website. I ask people. I have great accountant, brokers and all that. People who’s been there, done that. Getting advise from these people, it’s a great thing. I know I have to spend X amount of money to get where I am, but I rather spend that investment rather than I lose hundreds and hundreds of thousands of dollars for nothing. Francis: I’m happy to answer questions, though. I’ll try my best to answer. If you have some questions from your viewers, I’m happy to answer them the best as I can. Look, I don’t have all the answers, but I’m just answering from experience. If someone can correct me from your viewers, I’m happy to take it. Ryan: That’s the thing, we’re all trying to learn, aren’t we? Ryan: Okay, guys, that’s it for today’s episode. Francis did say that he was willing to answer questions. If any of you have questions, go to onproperty.com.au/363 because this is episode 363. Go over there, scroll to the bottom and there’s a comments sections. You can leave in your comments, ask your questions in there and I’ll make sure that they get forwarded on to Francis and that he has a chance to answer them. So, again, that’s onproperty.com.au/363 if you want to ask some questions. Or, if you want to get access to the membership site, which I talked about before, go to onproperty.com.au/membership. Thank you so much for watching, guys, I wish you the best in your property journey. And until next time, stay positive.